This section is for the very specific Micro-HDMI cables and adapters. 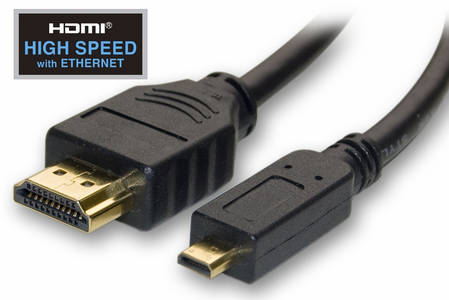 The Micro HDMI is also known as HDMI Type D. It is very small, resembling a Micro USB. We know that the Motorola Droid X, and the HTC Evo, both use the new HDMI Micro Connector.